I have some brushes in Photoshop Elements that I accidentally added to the brushes folder as zipped files, so they won't open in Photoshop, I want to know how to get them out of the brushes menu. I already deleted the files from the brushes folder, but they still appear in the brushes menu. Any ideas? 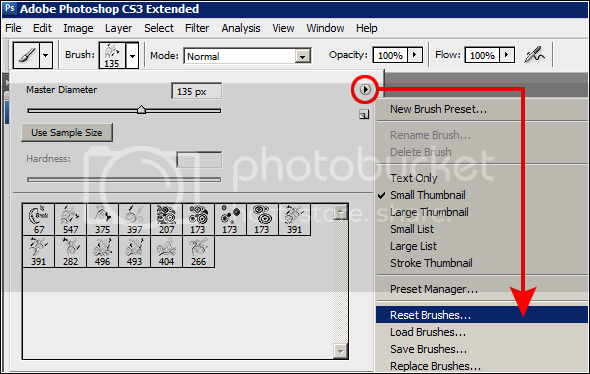 In Photoshop I just go to "Reset Brushes". Don't know if there is a similar option in Photoshop Elements.